As you comb through the middle weight classes for the 2018 Senior Greco-Roman World Championships, the first thing you’ll notice the most is the shine coming off all of those medals. 72 kilograms might be packed, but it is also the Wild West. There are a lot of reasonable candidates. 77 and 82 kilos offer a lot of candidates, too. But for however much previous hardware is present at 72, these two weights dial it up even more. At 77, you’ve got: an Olympic gold, an Olympic silver, an Olympic bronze, two World golds, and six World medals. That’s all at the Senior level. 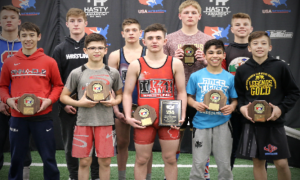 Adding in the age groups, there are: three Junior World Champions, one Cadet World Champion, and eight medals between those two age divisions. 82 doesn’t have an Olympic gold. What it does have are three World Champions, an Olympic bronze, and five Senior World medals. Age-group-wise, you get a former Junior World champ and six developmental World medals. Behind all of the hardware earned is a collection of athletes who remain at the pinnacle of their sport, and just as many more waiting for their moment to step up. Most of the brackets at the 2018 World Championships are crammed with top-flight competitors, but it is with these two weight classes where fans are virtually guaranteed to get their money’s worth from start to finish. Saturday, October 27th — Qualification rounds through semifinals. Sunday, October 28th — Repechage rounds through medal matches. 77 kilograms is the weight class where United World Wrestling’s “Ranking Series” holds the least amount of influence. Only one athlete ranked in the top-4, Fis Batista, is seed eligible; therefore, he automatically shoots to the top spot. Fis Batista’s points were earned because of two events — the Granma Cup in February (where he lost to Bey in the finals) — and his gold at the Pan Ams. Fis Batista is a nice wrestler, and physically, he’s excellent. He is very quick and for the most part dishes out clean technique. This tournament is a first-time experience for him, however, and also a completely different level compared to what he’s used to. It will be interesting to see what kind of steps he has made in training to deal with the cavalcade of monsters in this bracket. Two-time World/2016 Olympic champ Roman Vlasov (RUS, world no. 4) is considered by many to be the biggest name in the sport, but he won’t be competing in this tournament due to a meniscus tear in his right knee that was recently surgically repaired. While Greco truly, unequivocally needs all of its stars to show up whenever possible, Vlasov’s absence is actually not that big of a deal. Because there are plenty of others holding some star power of their own willing to step up and steal the spotlight. 2012 Olympic/2013 World Champion Kim Hyeon-Woo (KOR) is a natural choice for many to just swoop right in due to Vlasov’s exclusion and add to what already might be a Hall of Fame resume. That’s a bit of a tough sell, considering who else is here, like Tamas Lorincz (HUN, world no. 7). Kim defeated Lorincz in the finals of the London Games, Lorincz beat Kim in the World semis a year ago. Then again, at 29 years of age Kim is still Kim. He is still that Energizer bunny, still always keeping his feet moving, still opening up creative scoring opportunities at the drop of a dime. Still has that arm throw and violently elegant side lift variation he breaks out on occasion. Kim’s workload hasn’t been off the charts this season. 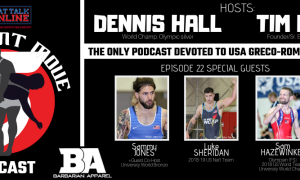 He hopped over to the US and won the Dave Schultz Memorial, came back eight months later to grab gold in Tbilisi, and took third at the Asian Games. Lorincz, 31, has only competed in two events. First was a third at the Euros, where he lost to returning World champ Viktor Nemes (SRB, world no. 5), and then there was a runner-up finish to countryman Zoltan Levai in the Grand Prix of Germany. 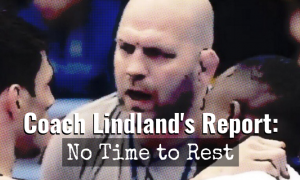 Light schedules for stellar, veteran competitors like Kim and Lorincz carry zero consequence. They’ll be rested and on their games this week, and there is no reason to expect otherwise. Elvin Mursaliyev (AZE, world no. 8, and who eliminated Vlasov in Paris last year) has, like Kim and Lorincz, enjoyed a strong but brief campaign, and two out of his three events saw him up at 82. Mursaliyev bronzed at all three tournaments, but it was the European Championships where he went 77 with Vlasov earning a 4-0 decision in the semis. Whereas someone like Kim observes a high workrate, Mursaliyev is trap-setter on his feet as well as a terrific scorer from par terre. He likes cashing in on those opportunities more than anything else. Vlasov’s imprint is similarly inescapable when it comes to Nemes, who dropped a 5-1 decision to the Russian in the Euro final. And since Vlasov isn’t here, you kind of throw it out. Nemes winning the Worlds in 2017 came on the heels of a busy but successful season. He had competed in four events prior (including a washout at the Euros) and parlayed his rise up the ranks over the years into a dependable formula. Nemes pressures opponents into mistakes. If he is unable to capitalize on the feet, he’ll still survive because his all-around game is robust enough to compensate. Nemes digs into underhooks briskly, weaving in and out through the pummel, all the while remaining active with his footwork. That gets him a fair share of passive calls, and he knows what to do with them. 2017 World bronze Pascal Eisele (GER), one of the hardest, most pugnacious Greco athletes on the planet throughout his still-young Senior career, only competed once this season. That came at the German Grand Prix and it was not a banner warm-up for the 25-year-old (10th place). That’s the kind of result you dismiss. Eisele, a Bundesliga competitor just like the man below, also reportedly dealt with a nagging injury or two. Assuming he’s healthy, he’ll be a player in this bracket. Fatih Cengiz (TUR, world no. 9) took his Paris bronze, regrouped, and then went out and powered his way to a U23 World gold three months later. Not bad. The compact Cengiz has competed well this year, as well, scoring a bronze at Takhti and golds from his home country’s Vehbi Emre, and most recently, the University Worlds. There isn’t a lot Cengiz is incapable of on a mat. He has some speed and can catch people off guard with his movement in static positions. He stays busy when others like to rest, is the point. 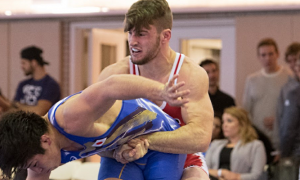 American Jesse Porter (NYAC/OTC) actually out-hustled Cengiz during most of their match at the U23 Worlds last year, but the calls went to the Turkish wrestler. Swedish star Alex Kessidis (world no. 10) is almost ready for his breakout and has now reached a level to where he is always in the hunt, no matter where he is and who he’s going against. His lankiness is an asset. When Kessidis wraps around opponents, he wraps around opponents. Sort of like Stretch Armstrong. But he’s also a serious fighter who gets chippy with opponents and officials (and sometimes for good reason). A lot of his mat time this past year took place in Bundesliga, which counts but is difficult to quantify. Other than that, he got hosed at Thor Masters, dropped a 2-0 loss to Nemes at the Euros before finishing fifth, and bronzed at Pytlasinski. Finally, Vlasov’s understudy, Aleksandr Chekhirkin (RUS), who has had to ride the bench for all of these years even though he would certainly be a #1 guy in 90% of the nations sending athletes to this event. 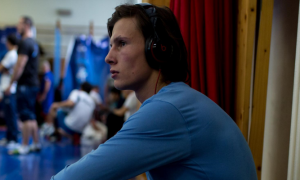 He is a two-time Russian National champ, a two-time Pytlasinski gold medalist, a two-time Karavaev gold medalist. He wins all the in-between stuff, but life isn’t easy when the head guy above you is a generational treasure. Now 32, Chekhirkin is at last getting his crack at the big show and it might be his only one. There is no way he’s about to let it go to waste. Checkhirkin does not have the same presence as Vlasov. He is not as smooth. But when you watch him, it is clearly obvious that he’s exceptionally skilled — and of course — devastatingly effective with a gutwrench. A very potent candidate to advance. 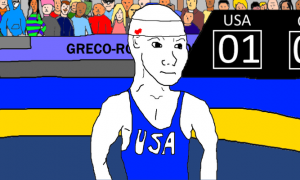 If Bey isn’t the most celebrated Greco-Roman athlete in the United States these days, who is? When Bey performs, or better yet wins, he isn’t just incredible built-in marketing for the US program, he is capable of selling the entire sport on a global scale. Bey isn’t just effective and dynamic, he is also extraordinarily popular. And important. After his scorching victory at the Junior Worlds in 2017, Bey hardly took a breather and jumped into the U23 Trials, and subsequently, the U23 Worlds. He went up to 80 kilos, which was kind-of-sort-of a respite in itself. But the quick turnaround hardly did him any favors and his performance in Poland demonstrated that. A tech loss to Nemes in the special USA/Serbia dual opened 2018 for Bey. He valiantly came out to put on a show, it’s just that Nemes was a little too seasoned to be drawn into a shootout with a spark plug like Bey, and that was pretty much that. But he sure lit it up at the Granma Cup in February, did Bey, securing gold and an allotment of UWW Ranking Series points that are now inconsequential. Points notwithstanding, the Granma Cup win did a lot for Bey. It was his first overseas Senior tournament victory, as hard as that may be for some to believe. More importantly, Bey was forced to fight it out and come from behind against solid Seniors. He carried that momentum into March and a second-consecutive Bill Farrell gold. Next came April’s US Open and Bey running the table with relative ease throughout a two-day format that included tech victories over Jon Jay Chavez (NYAC/FLWC) and Marine uber-prospect Peyton Walsh, respectively. The Pan Am Championships a week later delivered a sizable pothole. Bey was going back-and-forth with Jair Cuero Munoz (COL) in the quarters. He wasn’t quite right. Down 10-7 in the second, Bey soon defaulted out of the match, thus eliminating him from the tournament. In a game of hypotheticals, this one instance is barely worth bringing up, but still must be mentioned — if Bey managed to win the Pan Ams instead of Fis Batista, Bey would have collected those points and the top seed in the Senior Worlds right along with them. Does that matter a whole lot? Probably not, although it is a decent piece of useless trivia for now. The best-of-three finals at the World Team Trials saw Bey exact revenge on 2017 World Teamer Mason Manville (Army/WCAP). Manville did find success through a good portion of Match 1, frustrating Bey in the tie-ups and by doggedly trying to finagle two-on-one’s. 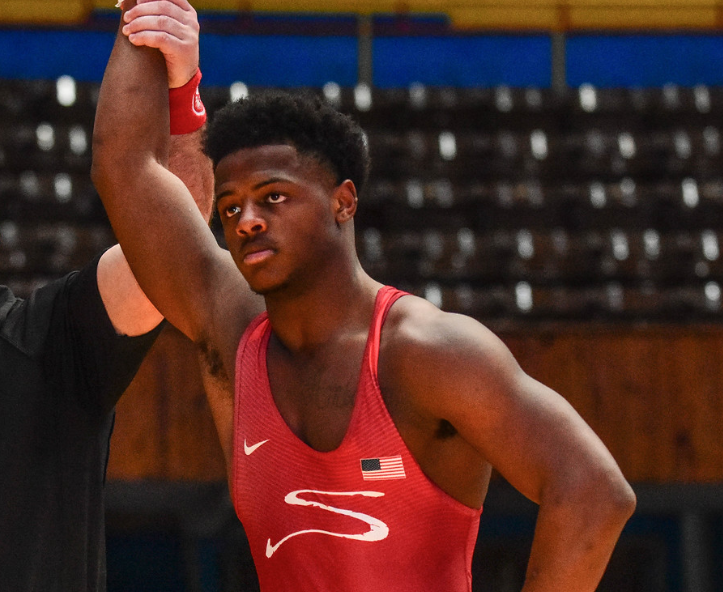 But Bey stayed the course and came out on top in that bout and then sealed his first Senior World Team spot by blitzing Manville in Match 2 via tech, basically just flinging the weight off of his shoulders with a flourish. This is where the waveform begins to betray more of an erratic visual. The German Grand Prix in August offered a match-up between Bey and Chechnyan-born Khalid Kerchiyev (SWE). Bey fell 5-5 due to a headlock he got caught with in the first period and was bounced out of the tournament. A month later it was the Junior Worlds in Slovakia. With equal parts jaw-dropping effectiveness and entertainment, Bey raced to the semifinals on the strength of two pins and a tech. Eventual champ Islam Opiev (RUS) then ended the 20-year-old’s bid for a repeat, and ’17 runner-up Azkohl Makhmudov (KGZ, world no. 11 at 72 kg) emphatically closed the door on any hopes for a bronze. Both Opiev and Makhmudov employed game plans based on stifling Bey in the tie-up’s and they went about it in a similar manner — by getting free passes for negative wrestling mechanics. The officials in Bey’s Junior World semis and bronze-medal match stood idly by as Opiev and Makhmudov, for the most part, both did their letter-best to avoid Bey’s offensive prowess. They held his wrists; bailed out of uncomfortable positions; latched onto forearms and meandered around; and dug their heads inside. They also capitalized on actual opportunities, too, that’s true. But both of these bouts were abohorrently officiated and that’s not opinion — UWW even released an analysis of Bey’s semifinal loss to Opiev and arrived at the same conclusion. However– in all three of these aforementioned losses, Bey did make positional mistakes experienced Seniors cannot get away with, at least not on a consistent basis. Although Bey possesses uncommon athletic attributes, he gets put off-balance coming into and out of exchanges and off of near-miss attempts. That, in concert with his still-developing pummeling skill and reliance on home run throws, would seem to make Bey a surprisingly vulnerable target at any major Senior-level event, let alone a World Championships. It’s a fine line: Bey will eventually have to shore up his fundamentals in order to enjoy significant international Senior success; but you have to be careful so as not to take away the very gifts that make him special to begin with. And it is because of these gifts why Bey should still be an extremely dangerous opponent for just about anyone he faces in Budapest. He is fast, aggressive, unpredictable, and positively unafraid to take risks. He can also lean on scrambling ability foreigners have no clue how to reconcile appropriately. If Bey is willing to button it up just a little more — and mind a more robust foundation during pummel-happy phases of each match — there is really no telling how far he can go. Most of these guys have never encountered someone like him, which might very well be Bey’s greatest strength of all this week. 2016 Olympian Aleksandrov has put in maybe his best season yet, coming away with a silver from the Takhti Cup and his second European Championships bronze. These placements have allowed Aleksandrov to take full advantage of UWW’s Ranking Series. Despite not winning a tournament, here he is, manning the #1 seed. Aleksandrov is a no-nonsense type of Greco athlete. You won’t find a better fist-fighter in this bracket, or one who is more in-tune with doing the dirty work it takes to open up even the smallest of windows to gain a score. The 27-year-old displays enough athleticism to fool you into thinking he is sitting on a vast cache of weapons, when really, he is a by-the-book throwback who remains disciplined in all three phases of the sport and is awfully difficult to rattle should an opponent try and bring the heat. It does not feel as though we are far removed from Sasunouski’s loss to Selcuk Cebi (TUR) in the 2015 World final and the reason for that to do with consistency. Sasunouski, who rarely “wow’s” anyone with his performances, is at least dependable. It’s the same prescription over and over. He either places or puts up a better-than-representative effort nearly every event he enters. This season saw the Belarusian grab silvers at the Zagreb Grand Prix and the European Championships to go with a bronze at Vehbi Emre. The Euro final was a tough one for Sasunouski, however. 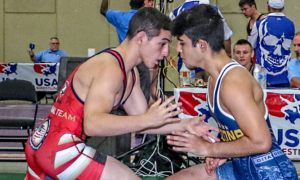 He was wrecked by Maskim Manukyan (ARM, world no. 7) in a one-sided affair. Former World Champion/Olympic bronze Saeid Abdevali (IRI) was thought to have been suspended due to his causing a ruckus at the Iranian World Team Trials five months ago. If he ever was, that suspension is apparently now over, as it is his name included on Iran’s roster instead of Trials champ Yousef Ghaderian. Abdevali, 28, won his World title in 2011 and went back-to-back with bronze medals at the Rio Olympics and Paris Worlds. Right away, his entrance into this weight class changes its complexion. For one thing, it adds an element of star power it didn’t have before, and that’s counting 2014 World champ Peter Bacsi (HUN, world no. 14). Naturally, Abdevali also adds depth. But most importantly, we are talking about an intense, fiery athlete who possesses elite-level skill and understands what this tournament is all about. Returning World Champion Manukyan didn’t hit too many bumps in the road throughout the current season and stormed to his first European Championships gold. He went up to 87 twice, most recently for the Tbilisi Grand Prix where he finished 9th, though it’s hard to take those finishes with much more than a grain of salt. Manukyan is a great worker and ferocious in the pummel. Thing is, when he is busy with all of that rustling around, he’s actually trying to find ways to fire off attacks. Opponents become flustered because so many of them are content to just battle it out for position. It is hard to do that with a guy like Manukyan who is much more concerned with dumping you on your head. Is this it for Bacsi? It might be. At 35, he has regularly been rotating in and out of events with Laszlo Szabo, who represented Hungary at the last two World events (Szabo bronzed in ’16, the first Non-Olympic Worlds). You cannot say, certainly not definitively, that he has lost a step. Bacsi did drop a 2-0 decision to Szabo in the round-robin Granma Cup, but he won the weight class just the same. Ghaderian bested him in the Hungarian Grand Prix final and that was an all-around solid performance for Bacsi. The old warhorse was back at it in Germany this past August where he won the gold over none other than teammate Szabo. 2015 World bronze Lasha Gobadze (GEO, world no. 18) earned a U23 World silver last year, further reminding everyone just how young he still is despite a) the way he looks, and b) the way he competes. Fans like Gobadze. They should, he’s easy to like. He’s not out there playing a pretentious game. Similar to Manukyan, Gobadze is usually trying to score, making “meaningful attempts” that promise a reward. The difference is that Gobadze is looser, a little more free-flowing. Not reckless, but frenetic, yet astute enough to know when an attack makes sense. He has a cascading trap-arm bodylock, though he mostly only gets that off against overmatched opposition. When it’s a high-level antagonist standing across, Gobadze will buckle down a little more, and too much static that doesn’t go anywhere can frustrate him. Either way, he is an athlete you’ll enjoy watching go about his business. Team USA — Geordan Speiller (Florida Jets) Speiller, 25, is just a few years into his full-time Senior career and has already taken his place among the country’s best. There are even some who ruminate as to whether or not Speiller is the best when observing comparisons using the pound-for-pound concept. Although it’s difficult to determine one way or the other, there is enough evidence to suggest that such a line of thinking is certainly not preposterous. It really all began in March of 2016 at the Hungarian Grand Prix. Speiller had already been sizzling domestically but it was in Hungary where he scored his biggest signature win, an 8-2 drubbing of Bacsi. Speiller didn’t even wind up winning the tournament, but the manner in which he defeated Bacsi — and how easy he made it look — was the talk of the weekend. Fast-forward a little: Speiller won the Olympic Trials mini tournament but was shut down in two matches by two-time World medalist Andy Bisek. The Floridian came back soon after to nail down another University National crown, but then it was nearly eight months before he competed again. Speiller returned to action in early 2017 with a win at the Dave Schultz Memorial. He had hardly practiced leading up to the tournament, but summoned the moxy to turn back 2016 Olympian Mahmoud Sebie (EGY). A couple of weeks later, Speiller won the Granma Cup for the first time, although there was only one other guy in his bracket. One more time, it was a performance at the Hungarian Grand Prix that provided a proper showcase for Speiller’s talents. He had five matches on the day and plowed through the first two as if there was something personal afoot. Facing off against Aleksandr Kukhta (UKR) and Pavel Pominchuk (BLR), Speiller was on a different level. He was snapping, shucking, darting in on bodylocks, and scoring points from basically every position. Georgian Nikoloz Kilosavi got in the way in the quarters, wrenching and twisting Speiller’s arm, which resulted in a tear in and around his biceps. Speiller still hung on to win, and then defeated Sasunouski via criteria the make the final, setting up another showdown with Bacsi. The rematch didn’t live up to the hype, probably because Speiller’s arm had been torqued into a mess earlier in the day. 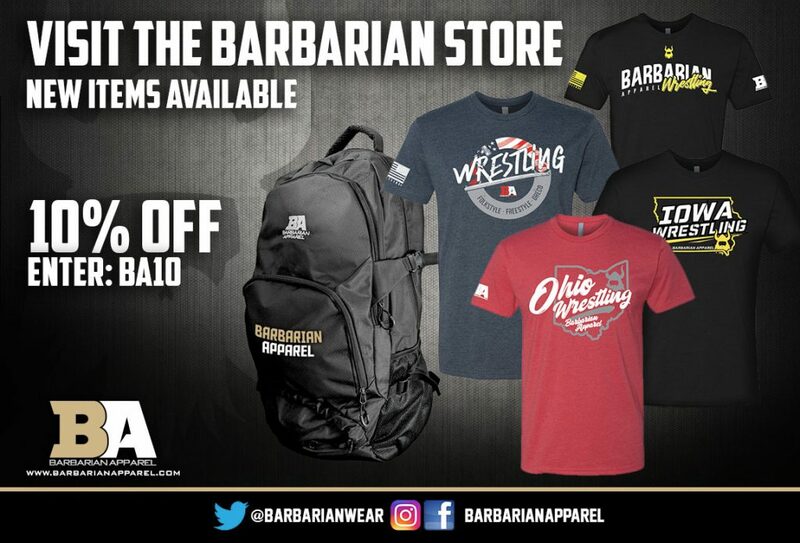 For what it’s worth, Bacsi capitalized on a diminished Speiller — with an arm throw (remember this in a second) — to emerge with a 4-0 decision victory. A strong favorite to win the 2017 US World Team Trials, Speiller fell in the semifinal to Marine John Stefanowicz 3-2. A 2-1 lead for Speiller in the second period disappeared when Stefanowicz, perhaps the roughest US athlete in this weight class, nailed a correct-throw-arm-throw to steal the bout. Arm throw. Reminder: index that move. This season, Speiller earned his second Senior National title, thus earning an automatic bid to the World Team Trials best-of-three finals, where he got past Cheney Haight (NYAC). In between, he earned a silver at the Pan Ams in Peru. Along with most of the 2018 US World Team, he next competed at the Grand Prix of Germany this past August. Practice tournament or not, the pattern alluded to within this overview came to light with unmistakable clarity. Following a grind-it-out criteria decision over Petr Novak (CZE) arrived yet one more match with Bacsi. History just about repeated itself. Bacsi scored four on an arm throw — that was it — and walked away the winner 4-1. In the repechage round, Speiller went against Roland Schwarz (SWE), a good enough wrestler but still someone Speiller should have little trouble manhandling. But Schwarz wailed two arm throws for a stunning 8-0 tech. It’s very rarely this simple. And like the majority of American Greco-Roman athletes, Speiller also hasn’t demonstrated unflappable par terre defense. But while plenty of wrestlers have certain techniques which represent their kryptonite, the arm throw for Speiller is less of a technical problem and more of an awareness one. Because Speiller: is constantly stalking; has confidence in his crossover takedown ability (which he should); and at times appears to not exercise a complete and total focus on where and why he’s reaching entering or disengaging from a tie-up, getting arm thrown, as it were, has cost Speiller at least four winnable matches. None of this means if Speiller can avoid leaving an arm out in front that he is a shoo-in for a World medal. At the same time, it’s not a bad place to start. We talk about athletes and their traits, or more appropriately, attributes. This space is used to highlight why an American Greco athlete “could” contend for hardware. Speiller does not require a multifaceted breakdown of his skill-set or even-more drawn-out declarations of his chances. For the purposes of the 2018 World Team, he is the heavier version of Jesse Thielke (NYAC/LOG), an athlete who also happens to be a superior overall wrestler comparative to most others in his weight class. That is, essentially, who this guy is. There is — quite literally — no one at 82 kilograms Speiller cannot beat. As refined, experienced, and brutish as Abdvali, Manukyan, and Gobadze might be, they all have less ways to win than Speiller does, they just don’t realize that yet. If you’re a US fan, you should look forward to watching Speiller help them come to that conclusion.